"Good order management system but lots of room for improvement"
1. Customization of reports – Our Company’s AMOS Application Director was able to build us a customized SOX report template under “Applications” so that we do not need to specify parameters each time and only need to select the period and export format, i.e. e-mail in Excel format. 2. Regardless of the time taken to run the report (see cons section below), once the report is ready, sending it to ourselves and/or team members is quick and the e-mail address auto-populates as we type it meaning good integration with the user database. 3. It is user-friendly enough for an auditor/accountant to obtain procurement data with read-only access. 1. When the report covers a longer period, then AMOS usually takes too long to run the report while appearing frozen since no loading bars or percentage of report completion are shown. 2. AMOS takes up a lot of memory. In some cases, an out of memory error message shows up - see screenshot attached. In order to prevent this, reports covering 6 months for instance need to be run in groups of 2 or 3 months. 4. Distinction between issue date vs. order date vs. creation date is unclear to read-only users who do not work in procurement. In certain reports, foreign currency is not specified which leads users to assume it is USD whereas it turns out to be NOK or EUR when the Purchase Order (PO) is looked up in the AMOS order management system. AMOS is a vast application. However, it needs to be implemented carefully. For example, users need to be trained to cancel orders rather than deleting orders altogether in order to maintain a trail for audit. 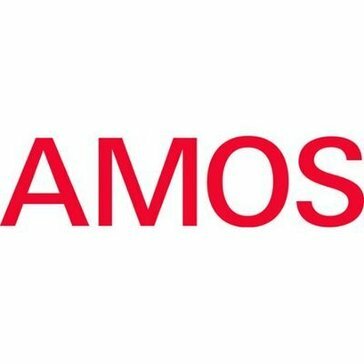 A list of all AMOS codes should be easily available so that users know how to navigate through AMOS to obtain the required information or perform the right order management functions. I'm a visual learner, so I love being able to see my model as I build it. You can also see your path estimates right on the model screen, which makes it easy to read and see what's happening with your model. Definitely great software for someone learning structural equation modeling. Also produces decent graphics if you need to put your model into a word document, etc. You can do bootstrapping, group comparisons, etc. so it does most of what you need. You cannot code AMOS to do specific work, so if you want to write your own code, you'll need to use LISREL or another SEM software, but this is great for someone beginning the process or doing basic analysis. I use it for academic research on salesperson performance. Nothing so far, it is cumbersome and very difficult to find detailed information. It is difficult to find detailed information. No benefits yet. I am trying to use it to figure out what computers we are leasing from a particular company. "Makes things easier with Amos"
It makes analysis easier. The graphical interface is not comparable with other similar softwares. UI can be improved. Selecting many options and moving them is quite hard now. Amos is especially great for those who are not expert in coding and using complicated softwares but want to do SEM. "Started as a Love-hate relationship "
I like how AMOS is an integrated system. It makes it easier to maintain a complete library of technical manuals and aircraft components in one system. There was no proper training that the vendor offered because of which it took us more time than supposed to. Before making a purchase please request for an in depth training. AMOS helps the company maintain the components and upcoming maintenance. It also helps us maintain the technical manuals which makes it easier to follow the revisions. The application is a great tool for any new user. It's user friendly and combines all the needed data quickly. All financial reporting for marine and technical operations. Easily create models and integrate datasets. Allows for both exploratory and conclusive analysis. Limited modification indices. Coding menu is difficult to get to. Working screen area could be bigger. Low learning curve. Lots of third-party resources to provide additional support. Examining relationships between variables to be able to explain and predict a set of conditions. The best thing about AMOS is that it is visual. I can draw the model I want to test. What I dislike about AMOS is that the drawing process is time consuming. I use AMOS to do structural equation modeling (SEM) for some of the research projects that I do and that need SEM for data analysis. * We monitor all AMOS reviews to prevent fraudulent reviews and keep review quality high. We do not post reviews by company employees or direct competitors. Validated reviews require the user to submit a screenshot of the product containing their user ID, in order to verify a user is an actual user of the product. Hi there! Are you looking to implement a solution like AMOS?